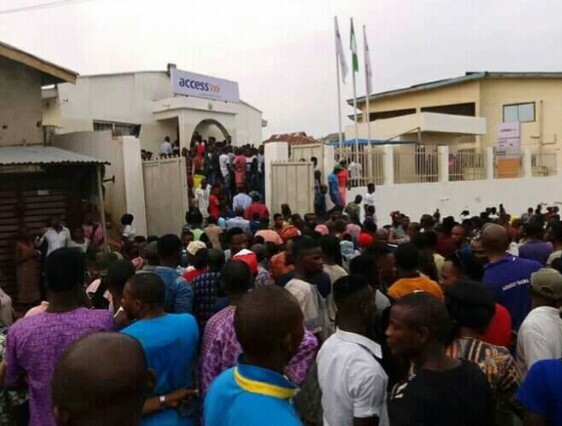 There was pandemonium on Monday in Ijero-Ekiti, headquarters of Ijero Local Government Area of Ekiti State where a gang of armed robbers attacked a branch of Access bank. According to reports, the robbers killed two policemen, a bank worker and passersby during the attack which took place at about 4.30 pm few minutes after the bank had officially closed for work. Apart from those killed in the attack, other bank workers and some customers at Automated Teller Machine (ATM) gallery sustained injuries. It was gathered that the robbers announced their arrival with gun shots which frightened residents scampering for safety.